Our Louboutin shoe features here on Your Next Shoes almost always become hot posts. So there’s little doubt in our minds that if YNS readers had shoe closets full of designer shoes and — god forbid — it caught on fire, the first pair many of you would try to save would be Louboutins. But have you ever wondered if Christian Louboutin’s own shoe collection ever caught on fire, what one pair of his very many precious Louboutin shoes would he save first? The shoe he’s referring to is this flat (yes, it’s a flat!) that spells “L-O-V-E” across the toes. 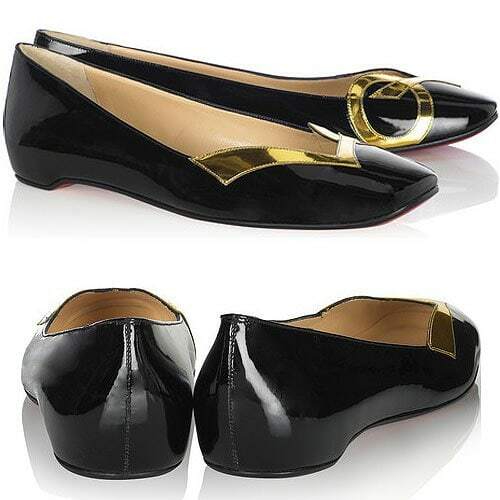 Louboutin designed this shoe with Princess Diana in mind. He saw a picture of her at an official function looking down on her feet and also looking very sad. He thought, “Imagine if, when she was looking at her shoes, they made her smile instead?”. More pictures of the now iconic Love flat below. What one pair of shoes would you save from your own shoe collection if it were to burn down, YNS readers? 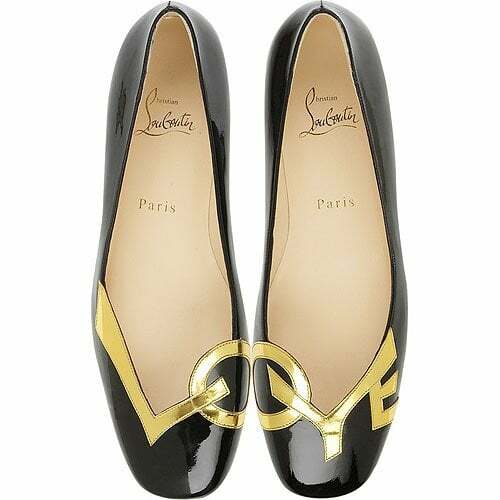 Christian Louboutin reissued these Love flats as part of his 20th Anniversary Collection.